Files with hwx file extension can be usually encountered as some sort of registration files for RSNetWorx tool for providing design and configuration management services for ControlNet and other types of networks. What is hwx file? How to open hwx files? The hwx file extension is associated with the RSNetWorx, a family of applications that provide design and configuration management services for ControlNet and other types of networks. The hwx file stores user registration data for RSNetWorx. 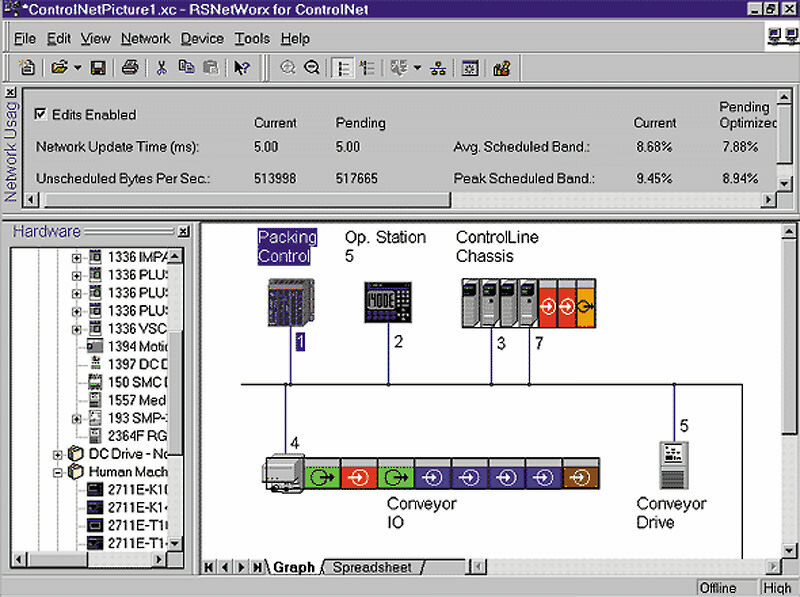 RSNetWorx products provide design and configuration management services for ControlNet International's ControlNet, and the Open DeviceNet Vendor Association's DeviceNet networks and Ethernet I/P. These files cannot be accessed manually by the user. A conversion of any sort for *.hwx files seems highly unlikely. and possible program actions that can be done with the file: like open hwx file, edit hwx file, convert hwx file, view hwx file, play hwx file etc. (if exist software for corresponding action in File-Extensions.org's database). Click on the software link for more information about RSNetWorx. RSNetWorx uses hwx file type for its internal purposes and/or also by different way than common edit or open file actions (eg. to install/execute/support an application itself, to store application or user data, configure program etc. ).